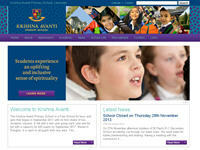 The official website of Krishna Avanti Primary School, Leicester. It inspires the pupils to strive for Educational Excellence along with Character Formation. It aims to provide a Spiritual insight.